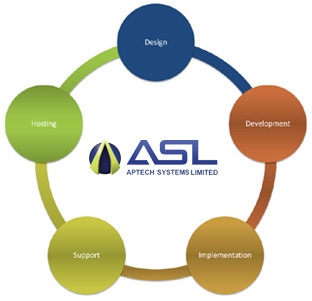 APTECH SYSTEMS 360 Performance management module offers employee performance appraisal and 360 degree feedback modules in one user-friendly web-based system. Our Performance Management system is fully-automated, web-based feedback tool for 360 degree surveys. It is also a customisable portal to administrator your 360 degree leadership assessments online. Every aspect from the notification to the participants and raters, to the issuance of reminders, and publication of online, real-time performance feedback reports is automated. By removing time consuming tasks, increasing the integrity of the data and making the administration process easier, you could achieve significant savings from your current process. The single most difficult task organisations face in the 360 feedback or multi-rater assessment process is the complexity of the administration, follow up and reporting of the employee assessment. Our web based performance management system software not only automates the review process but also reduces the complexity of the administration. Our web solution is a full-featured web-based performance management solution, that focuses on ease of use, minimises training, encourages employee review completion and offers the flexibility to perform tasks from anywhere in the world. ASL's performance management system is not only powerful and flexible, but affordable, even for very small organisations.